At Rinnai, we have a wide range of portable gas heaters to suit all spaces small to large. Our sleek and contemporary gas heaters range from simple, robust radiants, to the super-economical, technologically advanced convectors. Best of all, they require no installation and can be stored away when not in use. Rinnai products are designed with the environment in mind, low emission technology and high efficiencies, amongst other great features. Rinnai portable heaters are available through selected Australian Hot Water branches.Our qualified gas fitters can either extend or install new pipe work for extra bayonet points in your home. Ideal for open plan living areas and larger spaces as the air movement helps distribute the heat from the gas burner with an inbuilt fan. Rinnai portable heaters feature low emission technology - less than half the Australian Standard. 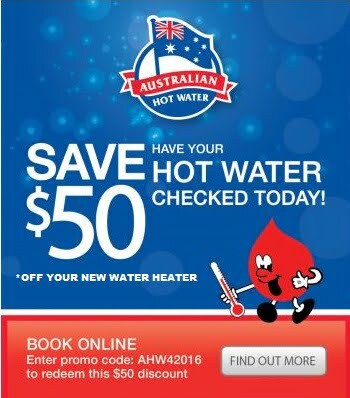 For further details on models and pricing visit your nearest Australian Hot Water Branch. Ideal for small to medium sized living areas, the compact design makes it easy to move from room to room and store away. For further details on models and pricing contact your nearest Australian Hot Water Branch.